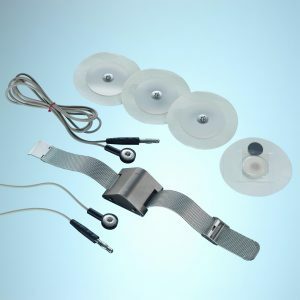 Housing made of 100% pure titanium with matching bracelet, medical soft electrodes filled with gel for distribution of pulses, 2 matching cables for the connection of housing and electrodes, instruction manual.The complete kit is delivered in a handy imitation leather packaging. please notice you can pay wit your PayPal account or you can use your Credit Card. All listed articles are produced in Germany. 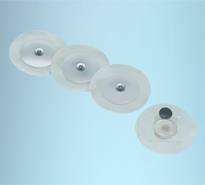 We provide you with medical soft electrodes filled with gel to distribute the impulses in different numbers of 4/30/50 pieces. 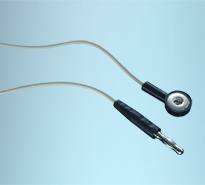 We offer you the possibility to reorder your cables individually.